The Denon HEOS Go Pack is designed specifically for the HEOS 1 to make it truly portable. The Denon HEOS Go Pack is designed specifically for the HEOS 1 to make it truly portable. It locks in place to the bottom of the HEOS 1. When the speaker is connected to AC power, the Go Pack's built-in battery automatically charges. At full capacity, it'll keep the HEOS 1 playing for up to 6 hours. 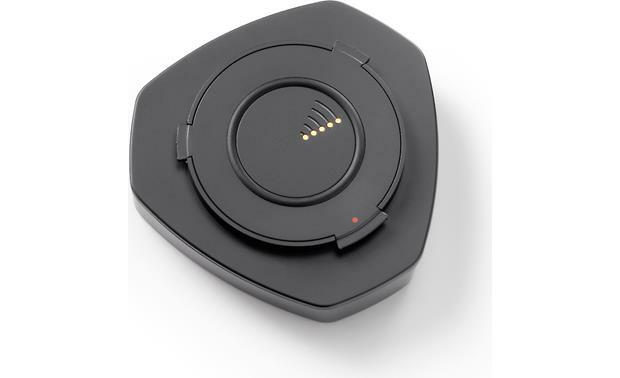 A rubberized cover seals off and protects the speaker's connections against moisture, so you can use your HEOS 1 both in and out of doors around your home. added to my HEOS 1 enjoyment, charges fast and eliminated the need to plug in. Had one question - Crutchfield, as always was very helpful. Happy camper! 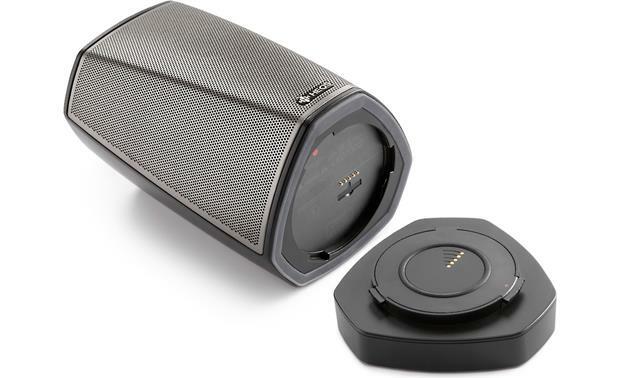 HEOS 2 Go Pack: Denon's HEOS 2 Go Pack is the perfect accessory for your Denon HEOS 1 (HS2) wireless speaker (sold separately). The HEOS 2 Go pack features a high capacity rechargeable lithium-ion battery that delivers 6 hours of playback time and includes a silicone splash guard to seal the jacks to protect it from splashing water. 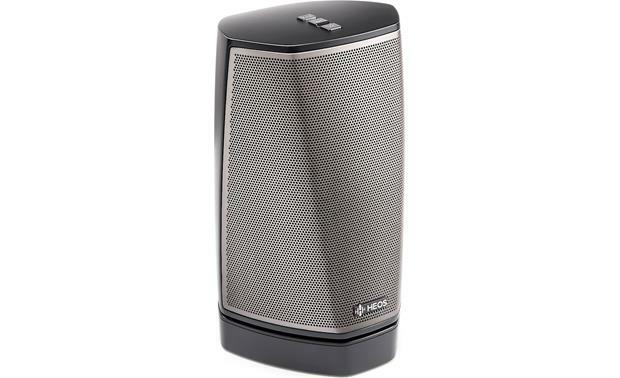 Compatibility: The Denon HEOS 2 Go Pack has been specifically designed for Denon's HEOS 1 (HS2) wireless speaker (033HEOS1B / 033HEOS1W; sold separately), part of Denon's HEOS wireless multi-room sound system. The HEOS 2 Go Pack adds approximately 1" to the overall height of your Denon HEOS 1 (HS2) speaker. 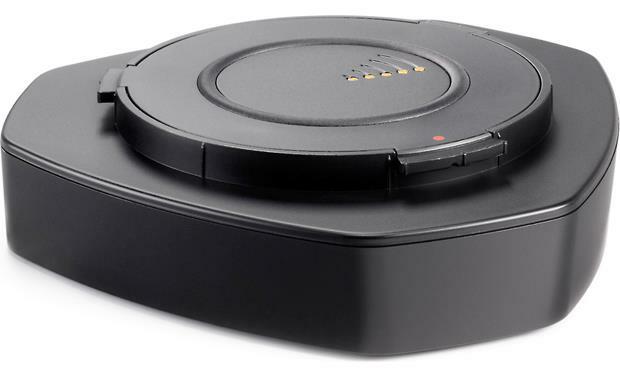 Rechargeable Battery Pack: The HEOS 2 Go Pack incorporates a built-in lithium-on rechargeable battery pack for your Denon HEOS 1 wireless speaker. The rechargeable lithium-ion battery delivers approximately 6 hours of playback time. 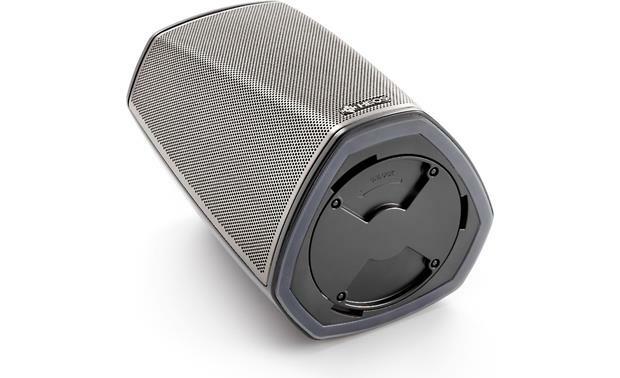 The rechargeable battery pack attaches to the HEOS 1 (HS2) speaker's base, with easy twist-on/twist-off attachment - you will need to remove the cap from the bottom of the HEOS 1 (HS2) speaker. 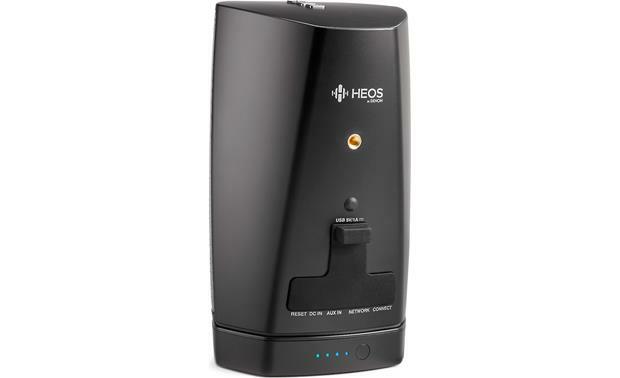 To charge the battery of the HEOS 2 Go Pack, connect your HEOS 1 (HS2) speaker's power adapter between the speaker and a wall outlet. Four blue LEDs indicate a full charge. Note: To turn off the HEOS 2 Go Pack's battery, press and hold the button on the back of the battery for 2 seconds. The LEDs will flash quickly then turn off, indicating that the battery is off. Turning off the battery will conserve battery power while you are not playing music your HEOS 1 (HS2) speaker is not plugged in to AC power. Silicone Splashguard: The HEOS 1 (HS2) speaker itself is humidity resistant, yet with the addition of the HEOS 2 Go Pack's silicone splashguard, it becomes IPX4 splashproof. The included silicone splashguard covers all of the HEOS1 speaker's connections and provides protection against splashing water, making the HEOS 1 (HS2) speaker the ideal wireless portable speaker for outdoor fun. Note: The HEOS 2 Go Pack and HEOS 1 (HS2) speaker are not waterproof. Do not submerge it into water or leave it outside in the rain or snow. Searches related to the Denon HEOS Go Pack Add-on battery pack for HEOS 1 speaker.